Natural insecticides work in different ways and this is why Natural Green does not use just one type. One of our natural insecticides are made from high end soaps and essential oils that kill bugs on contact. This means once it touches the insect they will die within minutes, if not in seconds. This type of insecticide suffocates the insect, affects their nervous systems and brakes down the exoskeleton; resulting in death. Our Second way of killing insects is by using an antifeedant which is a naturally occurring substance in certain plants that adversely affects insects or other animals that eat them. We also use growth regulators which is a substance that inhibits the life cycle of an insect. These work as a preventative by creating a bubble like repellent around your landscape that damaging insects do not want to be around. These products will also build up the immune system of the plants and turf causing them to be healthy and unattractive to damaging insects. 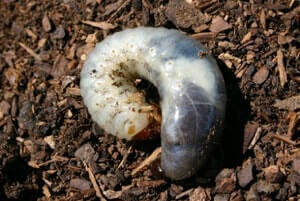 If insects are in the area when sprayed or cross the boundary after it has been treated, the damaging insects will be effected on a hormone level. The product will enter the nervous system and block the hormones from working properly. 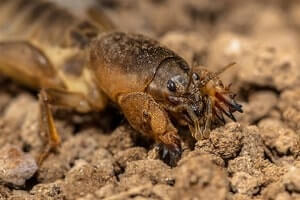 Insects will stop eating and stop breeding. If eggs are laid, the hatchlings will not moult into adults. In effect this will cause the insects to die. Our third way of killing insects is using our products that are naturally systemic insecticides. That means you can spray it on the soil, root zone and foliage and the plants absorb it. They take it up into their tissue, and it works from the inside out. 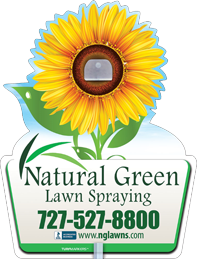 Natural Green uses a couple different types of natural systemic insecticides. Some of these products work as antifeedants and some erode the insect from the inside out. The most important thing to remember is our products are safe for the biology of the soil. They kill insects and do not harm you or your family.